Dan’s started learning the Piano & Guitar when he was 10 years old. Since then Dan has successfully pursued many avenues in the Music Industry as a performing Musician, Songwriter, Music Producer, Mixer, Music Technology Tutor and Blogger. Dan is the Head Music Producer at Rodel Sound Ltd, a company that specialises in Online Content and Music Production. Rodel Sound has over 130 reviews posted by clients that have worked closely with Dan in the past. Dan is a prolific musician who has produced hundreds of songs for recording artists throughout London. In 2004 Dan completed his studies at The BRIT School of Performing Arts where he acquired Distinctions in Music Performance and Music Production. He later furthered his education at Rose Bruford College where he completed a three-year degree course in Music Technology. Between 2002 and 2006 Dan toured the UK in the early formation of ‘Tankus The Henge’ as the guitarist along side current frontman Jaz Delorean. 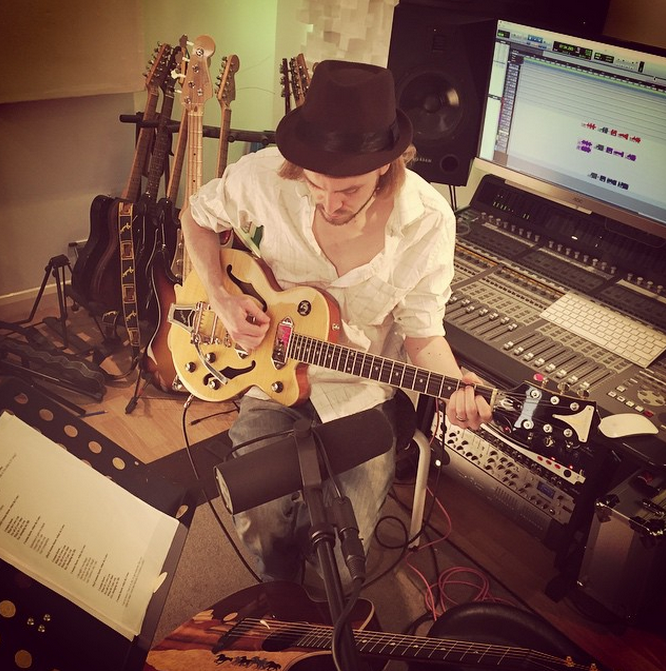 Dan specialises in taking rough song ideas through to cleverly crafted musical productions in musical styles covering Country, Rock, Pop, Blues, Folk, Reggae. When Dan isn't in the recording studio producing other artists you will find him songwriting and performing music with his wife Georgie under the songwriting duo name GeorgieDAN. Georgie recently joined the Rodel Sound team as Creative Songwriting Assistant and resident Online Session Vocalist. GeorgieDAN have filmed over 100 live music videos of songs written by themselves that can be found on the GeorgieDAN YouTube Channel. Dan is also the Deputy Editor of Pro Tools Expert. Pro Tools Expert is a website dedicated to supporting the worldwide community of Pro Tools users in both Music & Post Production industries. Pro Tools Expert shares daily Music Production tips & tricks, Pro Audio Product Reviews & Online Pro Audio Video Tutorials. Pro Tools Expert receives nearly 6 million unique visitors each year and has grown to be the largest independent online community for Pro Tools users.